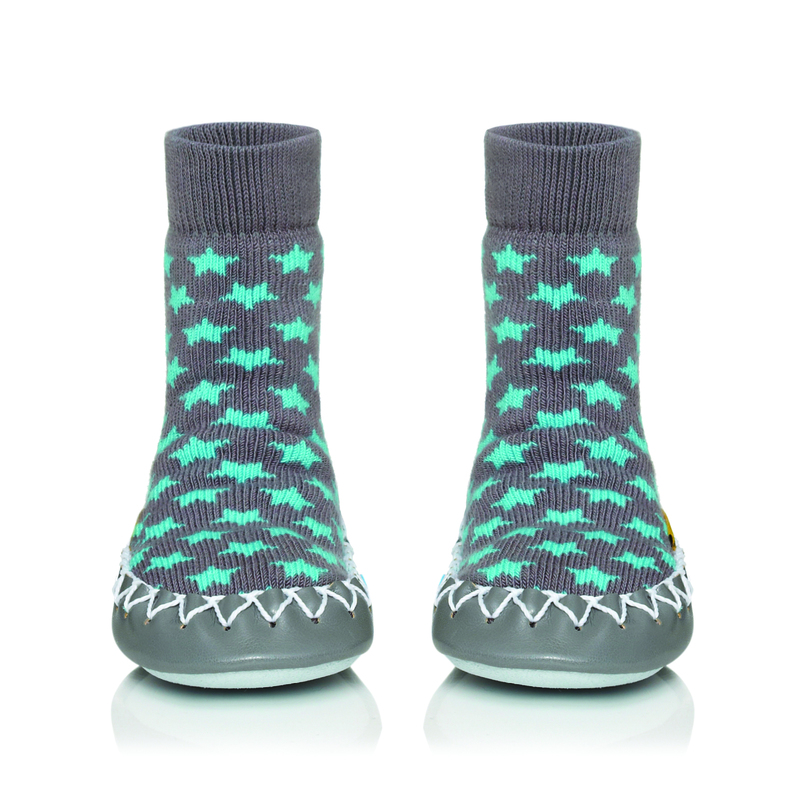 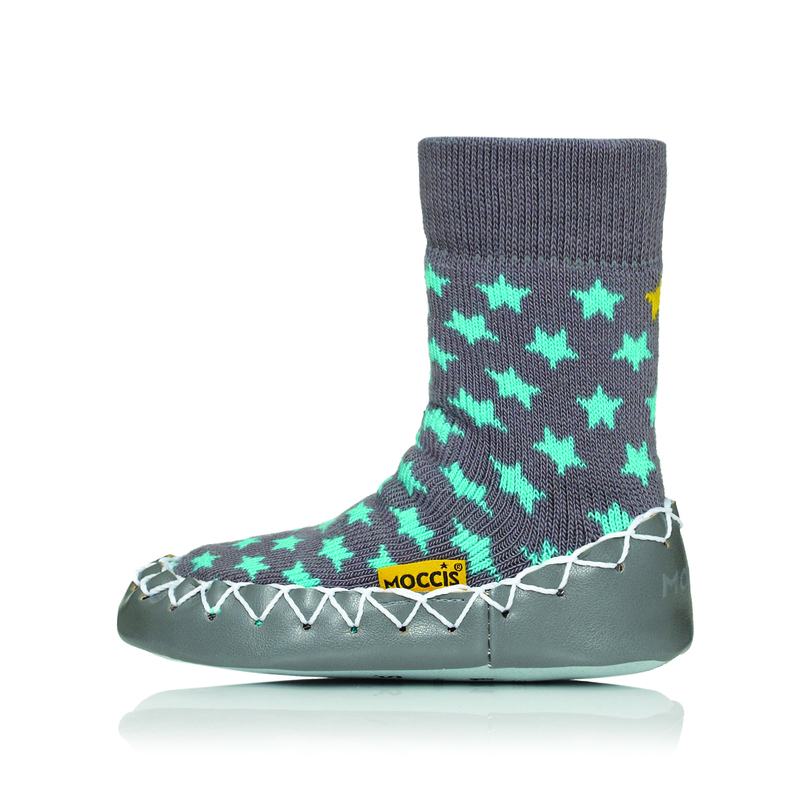 High quality moccasin slipper socks made in Sweden from natural ecotex certified materials in grey and turquoise blue Stoney River star design. 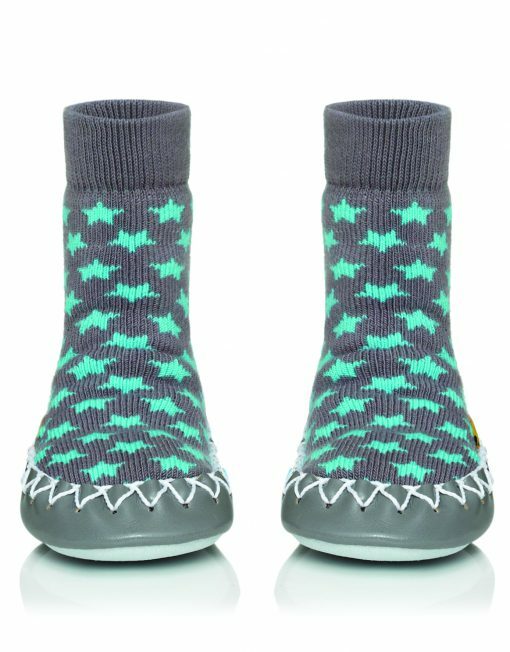 The durable leather moccasin sole provides grip like an indoor shoe while allowing children’s feet to move freely and muscles to develop. 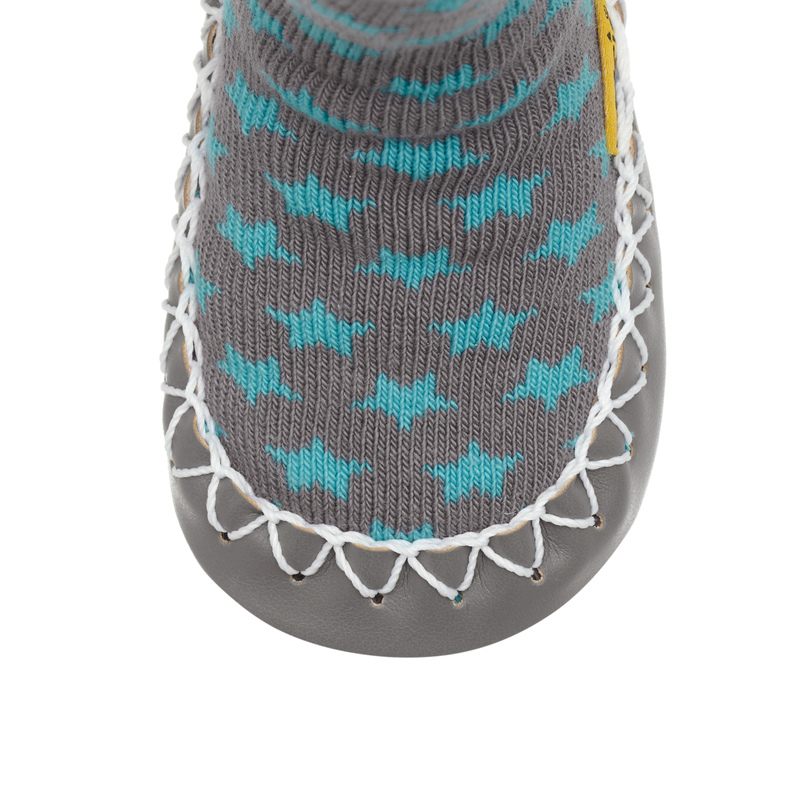 Double elastic at the ankle prevents the moccasin from falling off which makes them ideal for nursery or wearing at home. 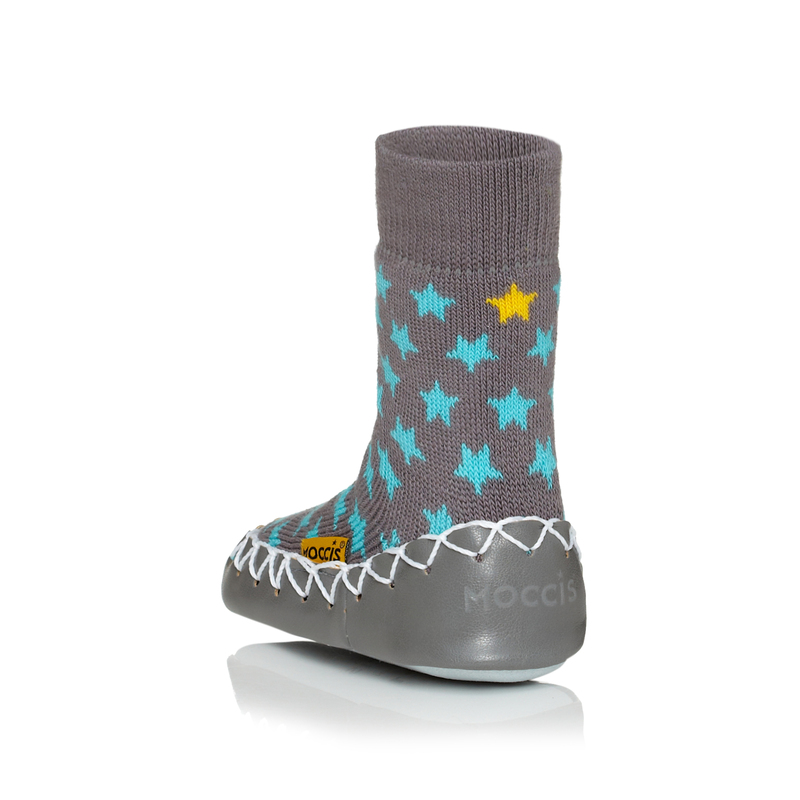 We have also a small selection of these in Adult sizes!